I just figure there are some cars I'll never get to drive. 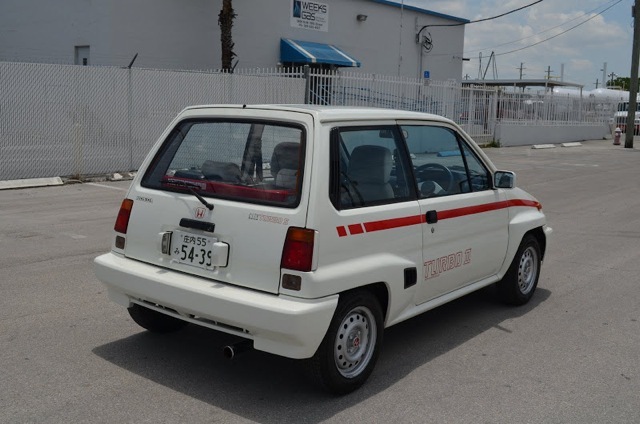 While that list includes ultra-rare exotic cars, I'm talking more about some of the European and Japanese small cars that were never available in the U.S., and are likely rare in their native countries. The car pictured above is one such example. 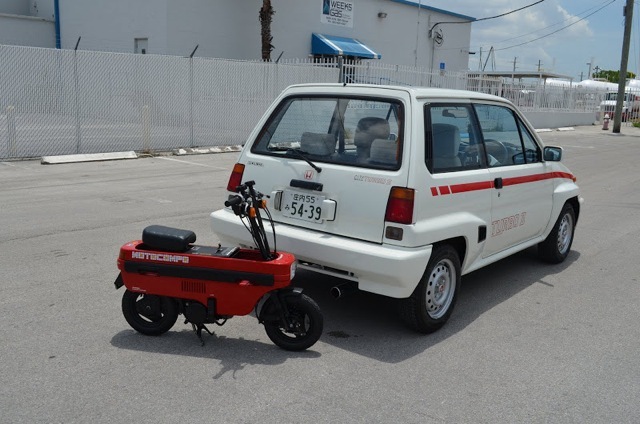 This is a 1986 Honda City Turbo II, sometimes referred to as a "Bulldog." 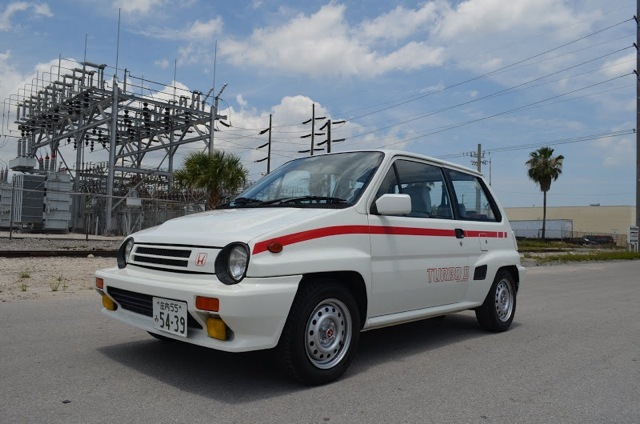 It's a subcompact that was only offered in Japan, and only until 1986. Based on the much more pedestrian non-turbo Honda City, which hit the JDM in 1981, the City Turbo II offered fat fender flares, a sporty stance, and of course, a turbocharged and intercooled engine. Powered by a 1.2-liter CVCC engine making about 110 horsepower and 118 ft./lbs. or torque, the little City Turbo II was an admirable performer, as it weighed only 1,620 lbs. Naught to 60 performance was in the eight second range. The City II Turbo's suspension was also tweaked for performance with front and rear sway bars and larger 185/65/13 tires. In fact those flared fenders were needed to accommodate those wheels, which were 30mm wider than a non-turbo City. Well low and behold, a City Turbo II has made it to U.S. shores. A friend of mine sent me a link to CaliforniaCars.com, which features this City Turbo II. (The vehicle is currently for sale on BringATrailer.com, too.) Definitely a rarity to see in the U.S., the seller is asking $19,500 USD. However, not only do you get the car, but you get the ultra-kooky and super awesome Honda Motocompo scooter that nests in the cargo area. Yes—it goes in the back of the car! Oh, and if you're wondering, the car does have a U.S. title and registration. Great for those crowded cities where you want a car to get away on the weekends but have to park it on the other side of town where you found the only free spot.